While in the past lung cancer was considered an absolute "contraindication" for a lung transplant (an absolute contraindication means a procedure should be avoided altogether) the answer isn’t always "no." There are times, though uncommon, when a lung transplant may be used as a treatment for people with early stage lung cancer with a particular type of lung adenocarcinoma. In fact, the use of lung transplants for lung cancer has slowly increased in recent years. When may a lung transplant be recommended, what does the research say, and why would it not be recommended for the majority of people living with lung cancer? One reason is that lung transplants are considered a local treatment. 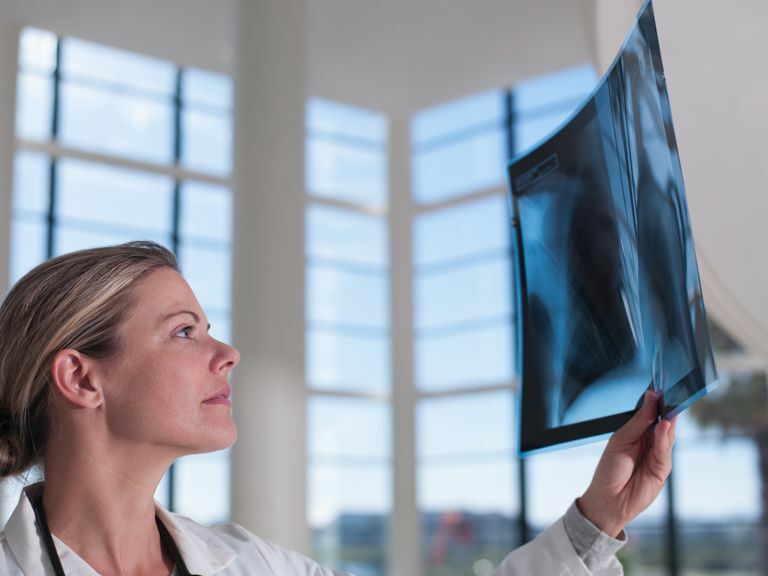 Local treatments such as a lung transplant, lung cancer surgery, and radiation therapy for lung cancer only treat cancer cells that are confined to the lungs. Unfortunately, for the majority of people with lung cancer, the cancer has spread beyond the lungs to lymph nodes and often to distant regions of the body. When this happens, systemic treatments (treatments that work on cancer cells throughout the body) such as chemotherapy, targeted therapies, and immunotherapy are better choices. Another major reason is the risk of lung cancer recurrence in the transplanted lung. In fact, even in those rare people for whom lung transplants may be used as a treatment, lung cancer often recurs in the transplanted (donated) lung. Even with the risk of recurrence, however, in the right setting, a lung transplant may offer the benefit of extending life, sometimes for a significant length of time. A type of lung adenocarcinoma that was previously called bronchoalveolar carcinoma of the lung or BAC which is advanced and multifocal (more than one area of cancer in a lung or the lungs). This is an uncommon type of cancer that accounts for less than 5 percent of lung cancers. It is more common in people who have not smoked and those of East Asian heritage. Early stage lung cancer when conventional treatments (such as a lobectomy) cannot be done due to poor lung function, such as lung cancer combined with end-stage lung disease such as COPD. Metastatic cancer to the lungs from another region of the body, that is only metastatic to the lung, and when the primary cancer (the "original" cancer) is well controlled. This scenario is very rare. In these settings, a lung transplant may be considered when non-surgical alternatives can't provide adequate control of the cancer. In order to be successful, doctors need to carefully select people who may benefit from a lung transplant and make sure that the cancer is carefully staged, for example, that tests such as a PET scan and an endobronchial ultrasound do not show any evidence of cancer spread beyond the lungs. Even when above conditions met, there are still a number of consideration that were noted in a 2018 review in Lancet Oncology. Since some of these transplants are done for cancers that are multifocal (many areas of cancer dispersed throughout the lung), surgeons have to be very careful that the donor lung isn't contaminated with cancer cells during implantation of the new lungs (especially cells that may remain in the upper airways). Understanding the benefits and risks of lung transplantation for lung cancer is also limited due to lack of clinical studies since it is so uncommon. There is, of course, the ethical concern inherent in transplantation, as donor lungs are limited. The uncertainty about long term survival in those with cancer must be considered. That said, some people who have received lung transplants for lung cancer have gone on to live for a significant period of time with much better quality of life than would have been possible had they even survived. A lung transplant may be used both as a curative treatment (with the intent to cure the disease) and as a palliative treatment (with the intent to prolong life but not cure the disease). From 1987 to 2010 there are fewer than 50 recorded cases (less than 0.1 percent of the lung transplant cases) of lung transplantation being used for lung cancer. Of these people, 29 patients had advanced multifocal BAC (now reclassified as a form of lung adenocarcinoma). Without a lung transplant, and with traditional treatments, the median survival rate for people with advanced BAC is 1 year. For people who received a lung transplant, the 5-year survival rate was around 50 percent and similar to the survival rate for people who receive lung transplants for other reasons, such as COPD. This is better than survival predicted with chemotherapy, but with newer treatments such as targeted therapies and immunotherapy, this is unknown. The consensus seems to be that in carefully selected people, lung transplant may result in long-term survival for some people with BAC. When living with cancer, there is nothing like hearing about people who have "been there." Many in the lung cancer community have been inspired by former college football player, Jerrold Dash, who has shared his journey in receiving a bilateral lung transplant for stage 4 BAC. In his blog, he shares about winning his lung cancer fight with a lung transplant. Here is a timeline of his transplant, and his patient's point of view on BAC and lung transplant. Do Lung Transplants Raise the Risk of Lung Cancer? Yes, for a number of reasons people who have received a lung transplant are at an increased risk of developing lung cancer in the future, with numbers stating risk is around 2.5 percent depending on the study. A lung transplant is usually not an option for people living with lung cancer. Unless a cancer is small and isolated to a single lung, it's unlikely that a lung transplant would do anything but cause more disability and pain. Even with smaller cancers, the likelihood of recurrence lessens the chance that a lung transplant would be effective. That said, for some people with lung adenocarcinoma (the type formerly known as BAC), a lung transplant may be a viable option. Even in this case the risks of this surgery, of which there are many, need to be weighed carefully against any expected benefit. In rare cases, a lung transplant may be an effective treatment. Fortunately, as newer treatments for lung cancer such as targeted therapies and immunotherapy become available, there are more, and certainly less dangerous, methods of treating these cancers. If you are thinking that a lung transplant may be an option, you can learn more. Check out the guide to lung transplants for COPD. While there are many differences between transplants done for lung cancer and COPD, the basics of the surgery are very similar. Ahmad, U. et al. Outcomes for lung transplantation for lung cancer in the United Network for Organ Sharing Registry. Annals of Thoracic Surgery. 2012. 94(3):935-40. Brand, T., and B. Haithcock. Lung Cancer and Lung Transplantation. Thoracic Surgery Clinics. 2018. 2(1):15-18. Machuca, T., and S. Keshavjee. Transplantation for lung cancer. Current Opinion in Organ Transplantation. 2012. 17(5):479-84. Raviv, Y. et al. Lung cancer in lung transplant recipients: experience of a tertiary hospital and literature review. Lung Cancer. 2011. 74(2):280-3. Glanville, E., and B. Wilson. Lung Transplantation for Non-Small Cell Lung Cancer and Multifocal Bronchioloalveolar Carcinoma. The Lancet Oncology. 2018. 19(7):e351-e358.